The Sound of the Baskervilles library serves our members as a convenient source for research and writing. The books and audiovisual materials can be used for preparation of a story discussion, a talk on various Sherlockian topics such as scholarship from Msgr. 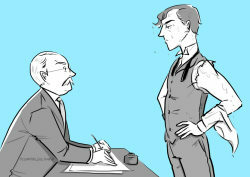 Knox to current writers, essays or presentations on Sir Arthur Conan Doyle, and Victorian/Edwardian subjects in general. The SOB library also contains pastiche and reference materials written by club members. Please contact us at least 48 hours in advance if you would like to request that specific titles be available at our next meeting.